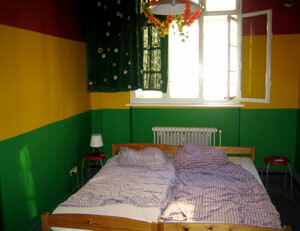 Our hostel is located in a center of Cracow, in the nice and peaceful surrounding, 10 minutes on foot to the Main Square. FamillyHostel is near one of main street on, Krakow-Katowice direction, on the road to International Airport Balice, on Czarnowiejska Street. We offer attractive, sapacious rooms for rent.We offer 1, 2 , 3 , 4 beded rooms. Each room has a private bathroom and minikitchen. Our advantages: we have accommodation for 50.High standart, just like in hotel for an affortable price. Furnishings: cupboards, bookshelfs, desks, tables, beds (single and double), TV, fridges, electric, coocers. Included in price: bed clothes, towels, coffe and tee. Reception: Open 24h, multilingual stuff. Full equipment, car park, security, 24h service. We recived organised tourist groups,individual foregin tourists, training groups. The price list: sinle room: 19 Euro double room: 18 Euro Triple room:39 Euro 4-personal room: 39 Euro For our regular customers, and for people who rent room for a longer period of time, we provide profitable discounts. Welcome!!! FINGER GUEST ROOMS - are located in center (Old City) of Cracow, Square Market is about 500m away (10 min walk) and Main Rail Station (Krakow Gl) and Main Bus Station about 300m. FINGER GÄSTEZIMMER- befinden sich im Zentrum Krakaus, 500 m vom Marktplatz und 300 m vom Hauptbahnhof und ZOB entfernt. 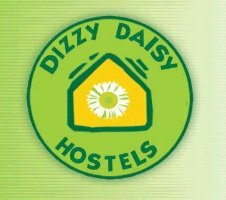 The most magic place to run a hostel, which has become Dizzy Daisy's first hostel all year open a truthful pearl among Krakow Hostels. It is inevitable for the traveller to stay one more night . You cannot specify your departure time after couple of minutes in the hostel Krakow attracts even the most restive tourists. The whole cultural centre available within 10 minutes walking distance. You cannot get closer that's the way the Krakow Hostel should look like. It takes 's' out of the 'hostel' ! !